Fibreglass doors are an excellent choice if you want to make a statement for your home but don’t want to spend considerable money for your front door. The style options are virtually limitless and fibreglass can be created to accurately simulate the natural wood grain of oak, mahogany, cherry wood or fir. With raised panelling, detail moulding and options such as glass and speakeasy you’ll find the aesthetic look you’re trying to achieve. Fibreglass doors are priced slightly higher than steel doors but they feature excellent efficiency, require minimal maintenance and they’ll last longer than wood doors. Combined with the curb appeal it adds to the home these doors make for an excellent investment. 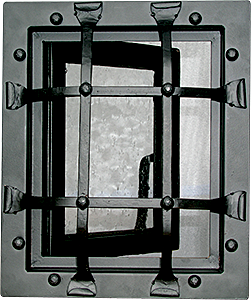 Safety and Security - offer excellent resistance to fire and are very strong, holding up well against forced entry, and with the combination of deadbolts and 3 hinges they offer both safety and security features. Noise Reduction - fibreglass doors are filled insulating foam resulting in a barrier for outside noises. 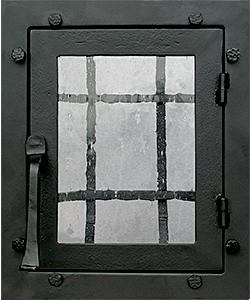 Energy Efficient - the insulating foam inside these doors is typically R-6, and when compared to wood with an R-2, are very energy efficient. Style - with advantage of price and limitless options such as textured-skins, finishing choices, moulding, glass and hardware options, fibreglass doors have become more popular than wood. 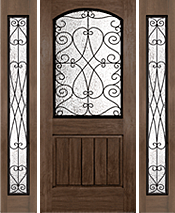 Fibreglass doors can look and sound like wood even when opening or closing your entry door. Long Lifespan - with a strong, non-porous exterior that holds up against marks and scratches, minimal maintenance is required for these long-lasting exterior doors. 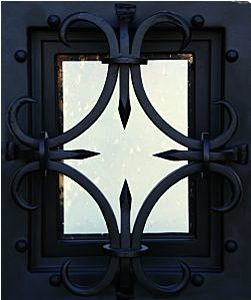 We offer premium-quality fibreglass doors and have many styles to choose from. We show some examples on this page, if you don’t see what you’re looking for, you’ll need to call for a free onsite visit to see our extensive catalogue of choices. Call us to help you decide which fibreglass door fits your taste and budget.